The owners of Paon Restaurant and Wine-bar, proudly present the Barrio Eat Mexican. Come visit us and allow our staff to start you off with with a house-made margarita, ice-cold cervaza or one of our over 100 tequilas. Fresh home-style Mexican food made from scratch each day for you. 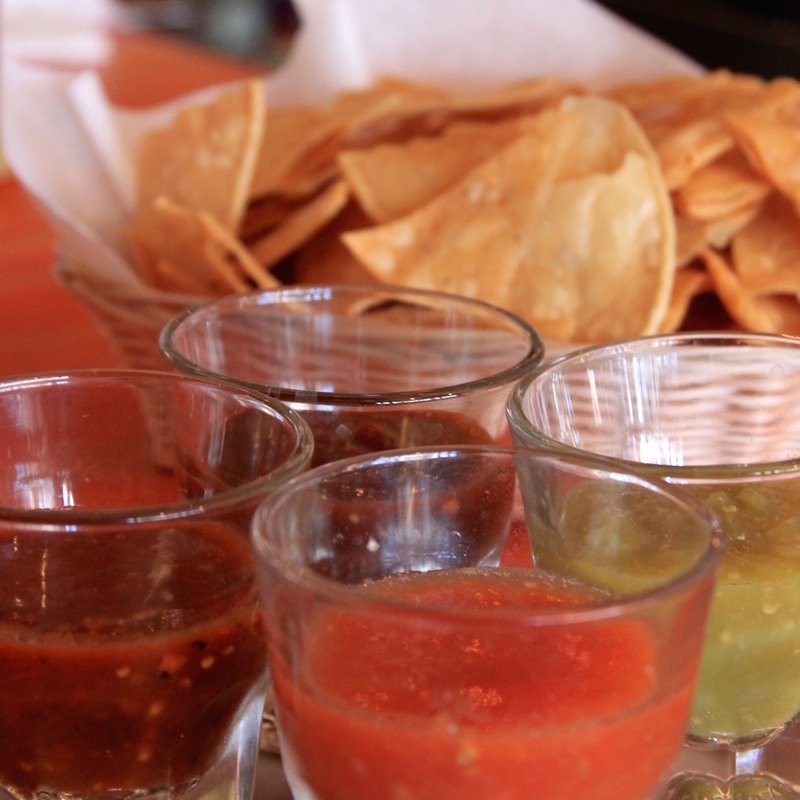 Our house-made sauces, tamales, soups and salsas are uniquely inspired by the simplicity of natural flavors and seasonal ingredients. 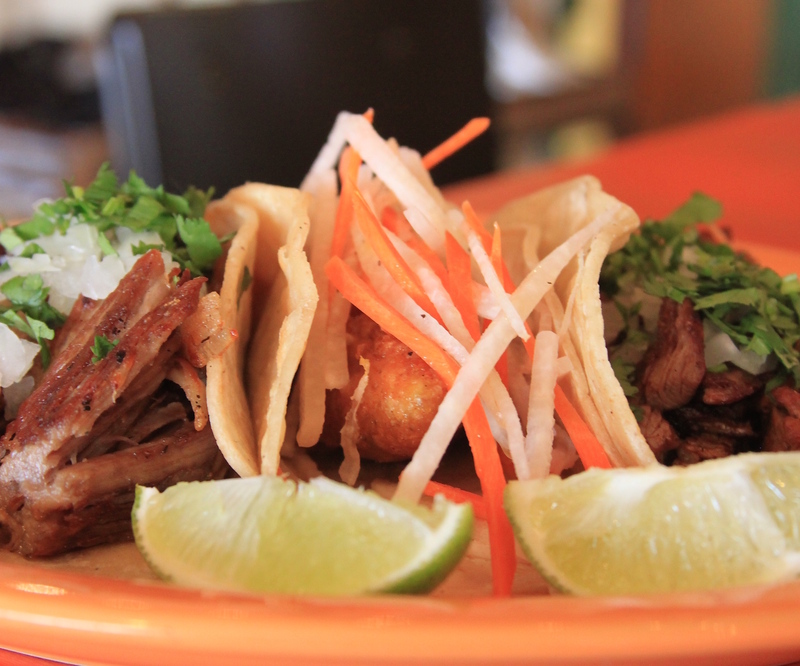 Try one of our many tasty authentic street tacos or a variety of classic home style Mexican dishes like our Barrio burrito, enchiladas suizas or delicious chile relleno. Our outside patio, bar and colorful dining room capture the love of the Latin Spirit. Dogs are welcome on the patio and outdoor bar area with week day & Sunday happy hour specials & Taco Tuesday Fun, we welcome you to visit & make new friends. 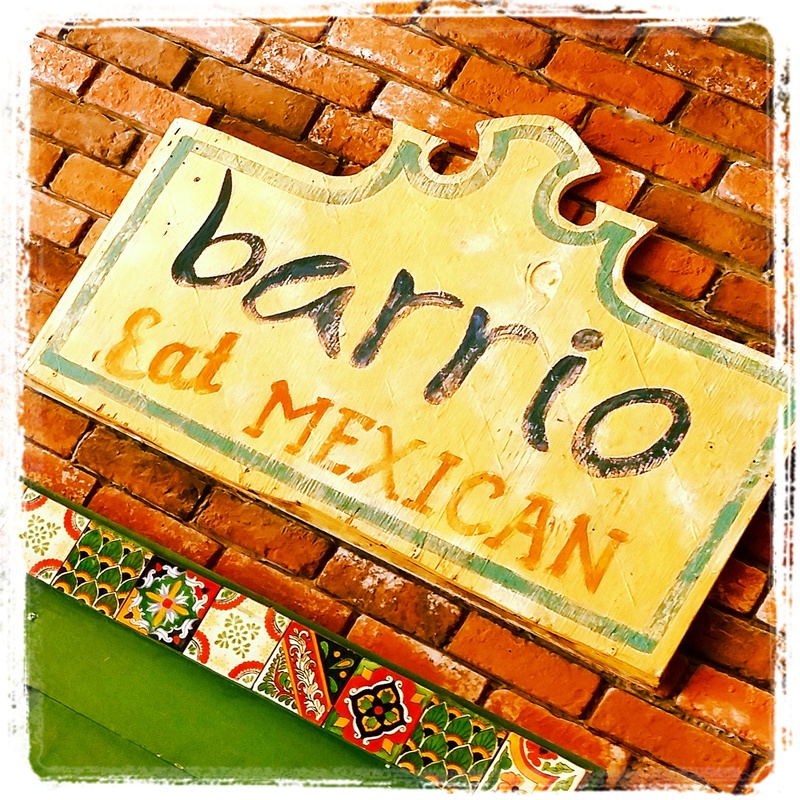 Located on the corner of Grand Avenue and State Street, join us at the Barrio - Eat Mexican in the heart of Carlsbad Village. 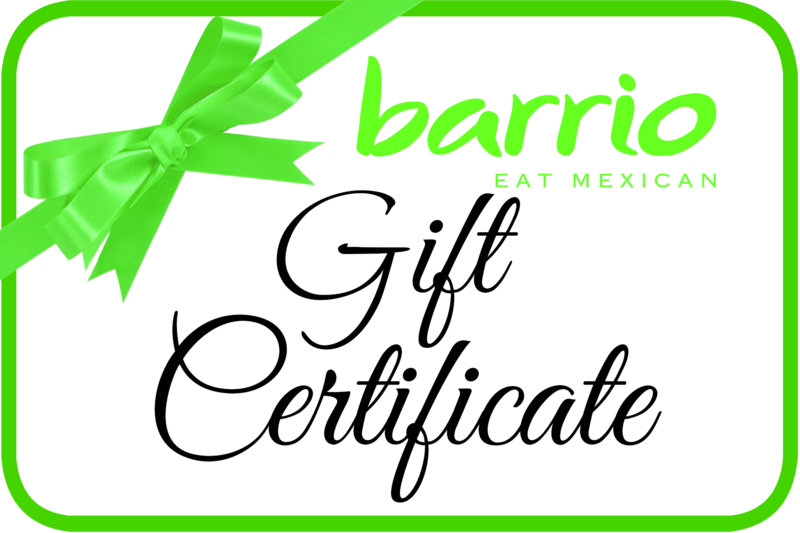 Barrio Gift Certificates make the perfect gift for every occasion and may be used any of our Carlsbad Village restaurants: PAON or Barrio Eat Mexican. Click on this card to purchase today!